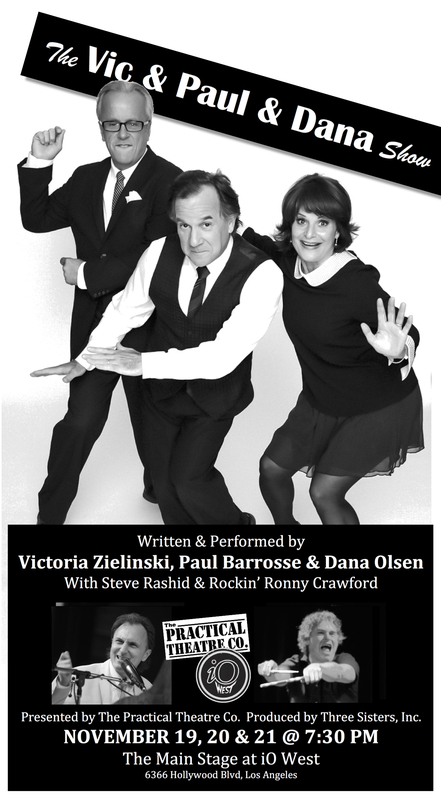 Los Angeles | Paul's Voyage of Discovery & Etc. 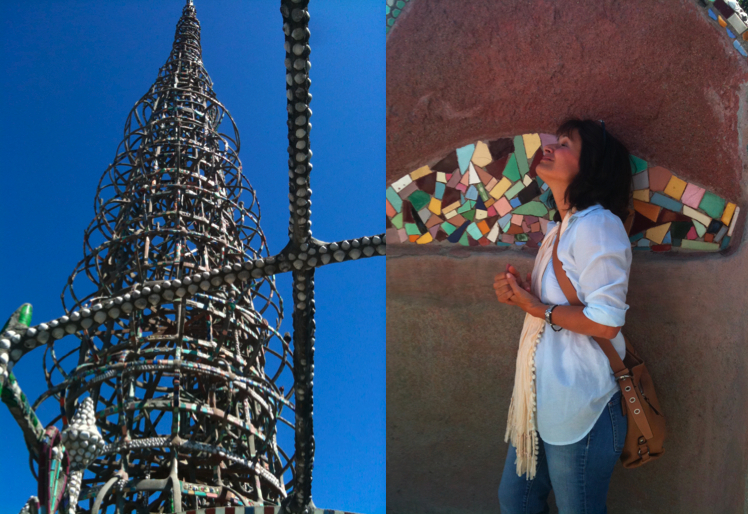 I’ve wanted to see the celebrated Watts Towers for a very long time. 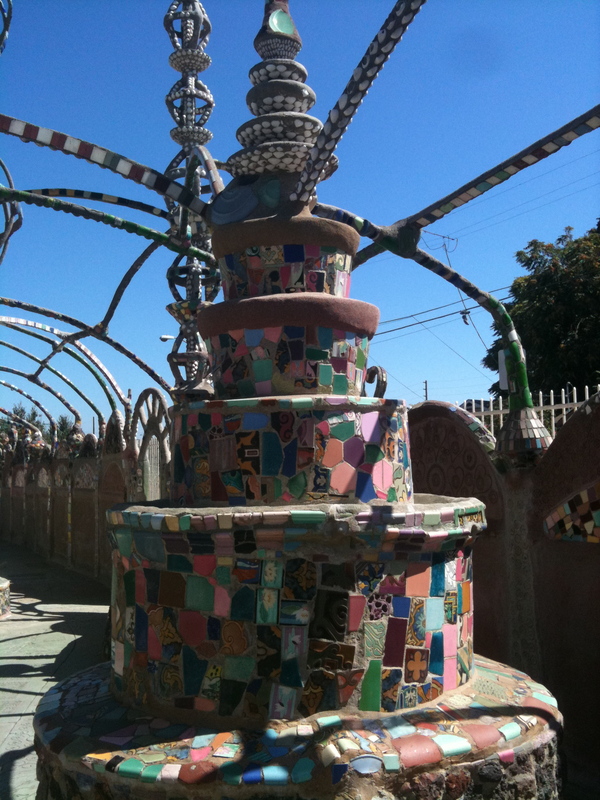 Finally, after seeing the urban folk art mosaics of Isaiah Zagar in Philadelphia this year and, shortly after that, reading my friend Sally Nemeth’s blog post on her own visit to the Watts Towers – I was determined to go to Watts and explore this singular work of art for myself. 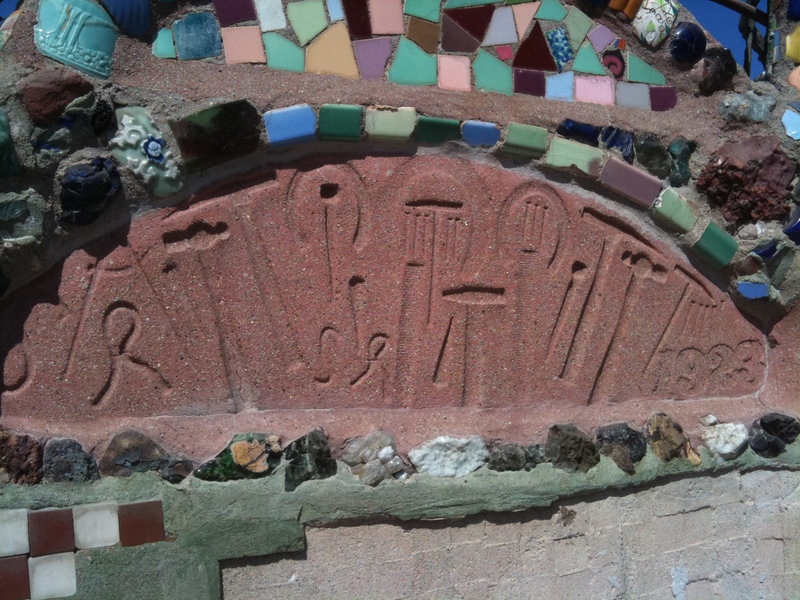 So on Sunday, September 19, 2010, Victoria and I headed south down the 405 freeway, then east on the 105, bound for the Watts Towers. 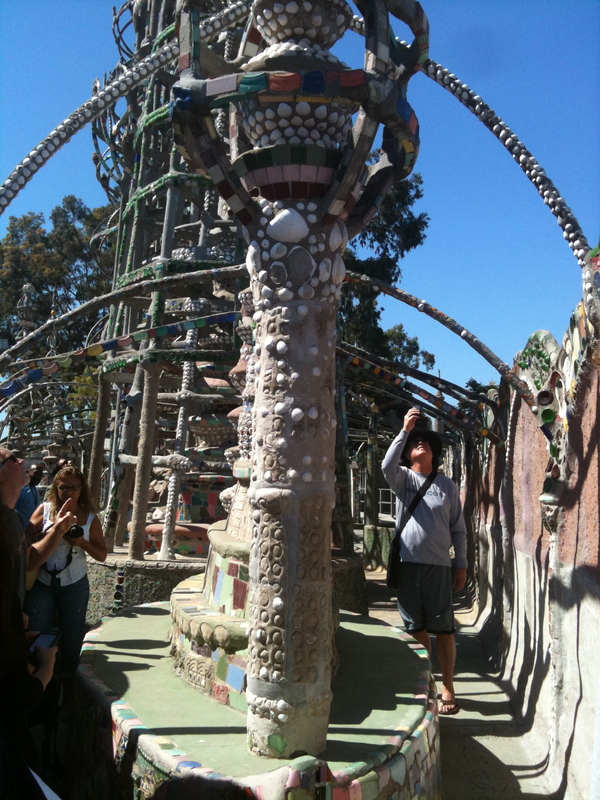 I remember first becoming aware of the Watts Towers as a kid when I saw them on an episode of Dragnet. At least I had that image of seeing the towers on Dragnet lodged deep in my mind. 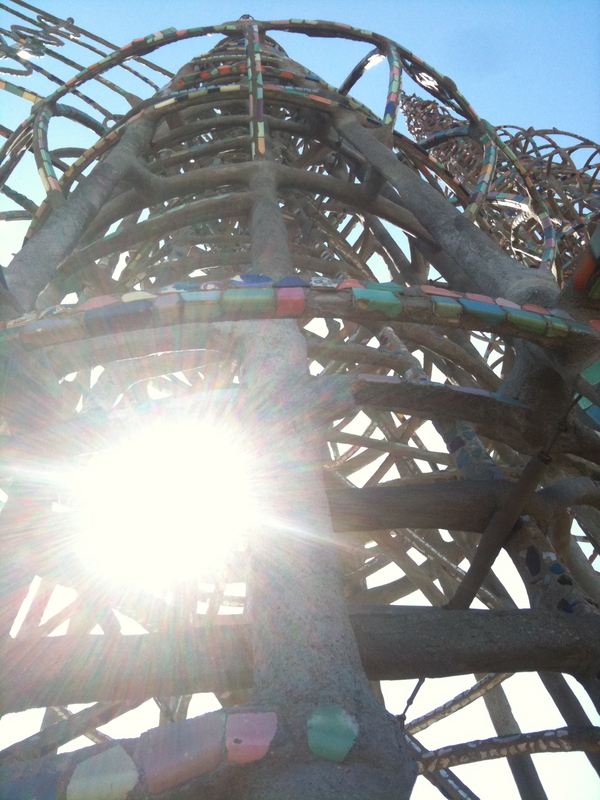 In doing a little research for this post, I learned that this memory of mine is about 40-years old, as the Watts Towers did in fact appear on a Dragnet ’69 Season 3 episode called “Management Services.” So, it wasn’t just my imagination. 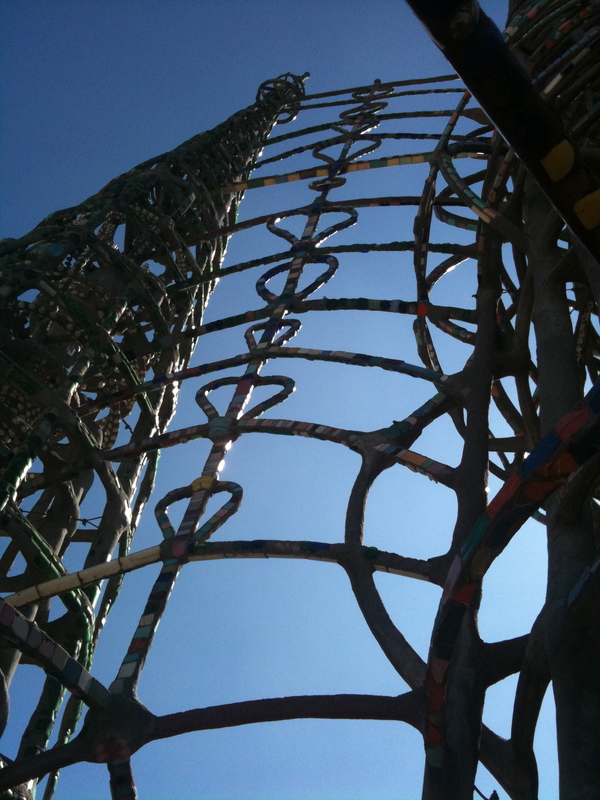 The Watts Towers are Simon Rodia’s imagination. Writ large. Very large. 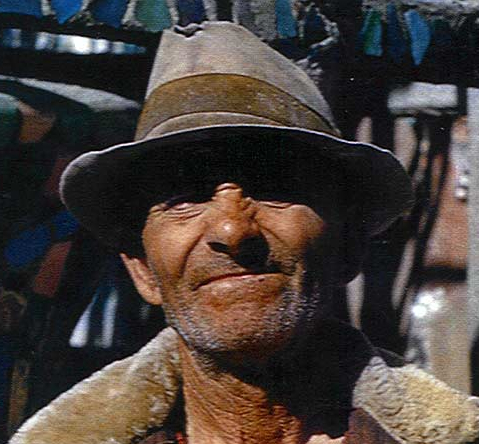 It took less than an hour to get from my house in Woodland Hills to the tough, working class Watts neighborhood where Italian immigrant Simon Rodia lived and worked – and built his incredible, deeply-personal, monumental masterpiece with his own gnarled hands. 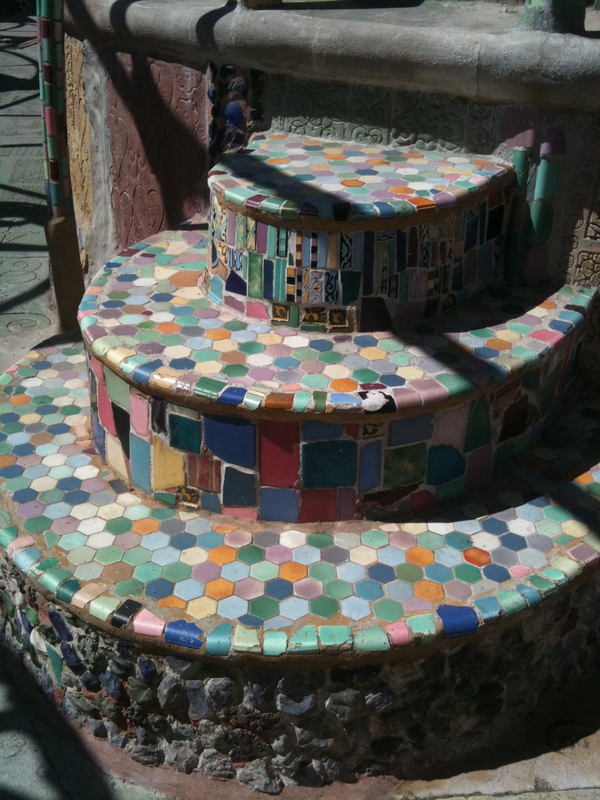 Rodia bought his lot on 107th Street in 1921, and for 34 years, he crafted his elaborate towers all by himself. 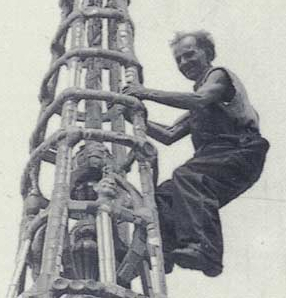 Rodia didn’t use machines or scaffolding or bolts or welds. 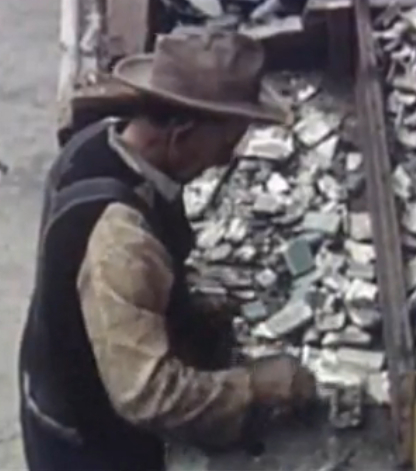 He used simple hand tools. Rodia didn’t even work out his complex designs on paper. His wondrous creations of concrete, steel, glass and ceramic odds and ends sprang day-by-day, year-by-year, out of his head. 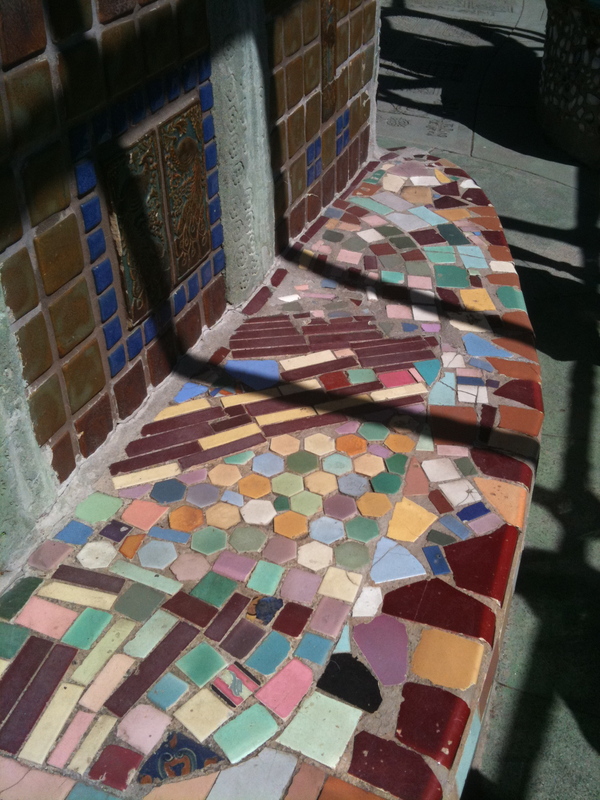 Somehow, this hard-working immigrant laborer and tile setter, with very little money, managed in his spare time to create an artwork that has become for the humble community of Watts what the grand work of the great Antoni Gaudí is to Barcelona, Spain: a source of artistic and civic pride. 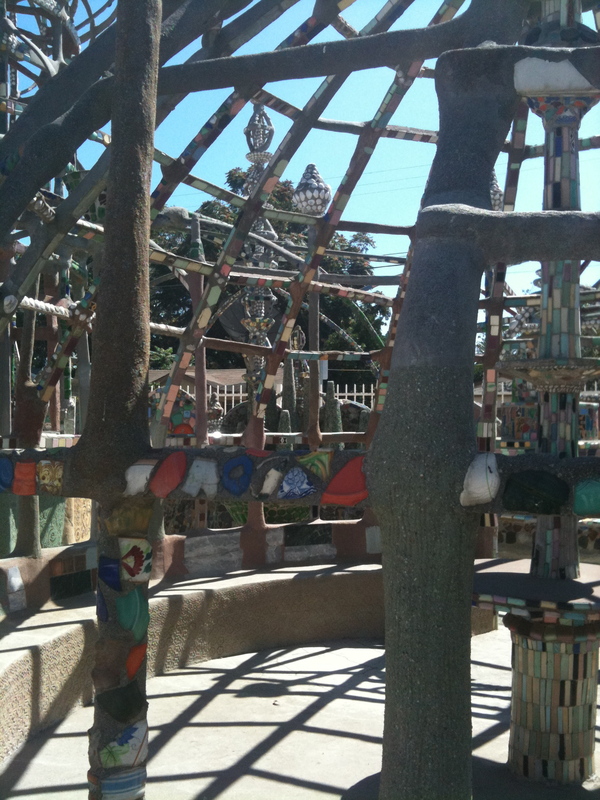 The Watts Towers installation also includes a gazebo that has been used for church services and baptisms by a number of local congregations, three birdbaths, and a ship sculpture based on Marco Polo’s ship. 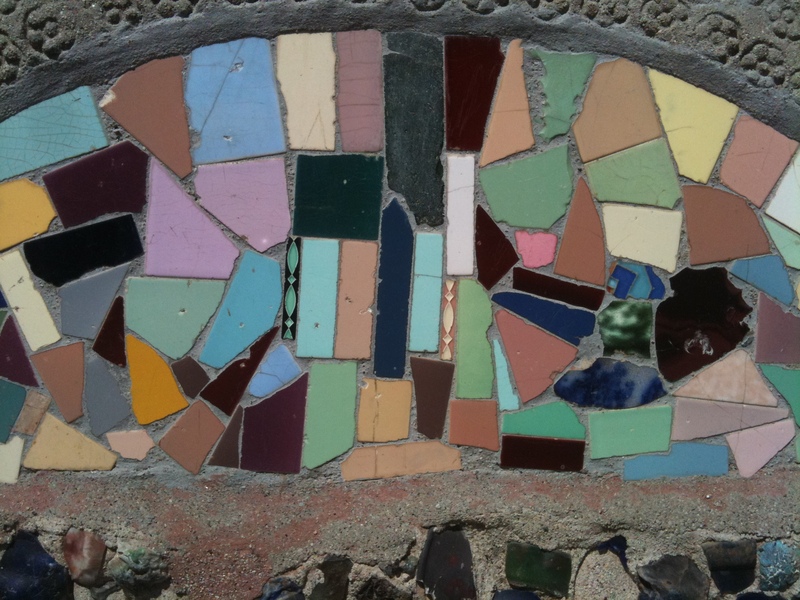 The outer wall running along 107th Street is fantastically adorned with tiles, seashells, broken pottery, glass bottles and handcrafted designs – which obviously helped to inspire Isaiah Zagar’s work in Philly. 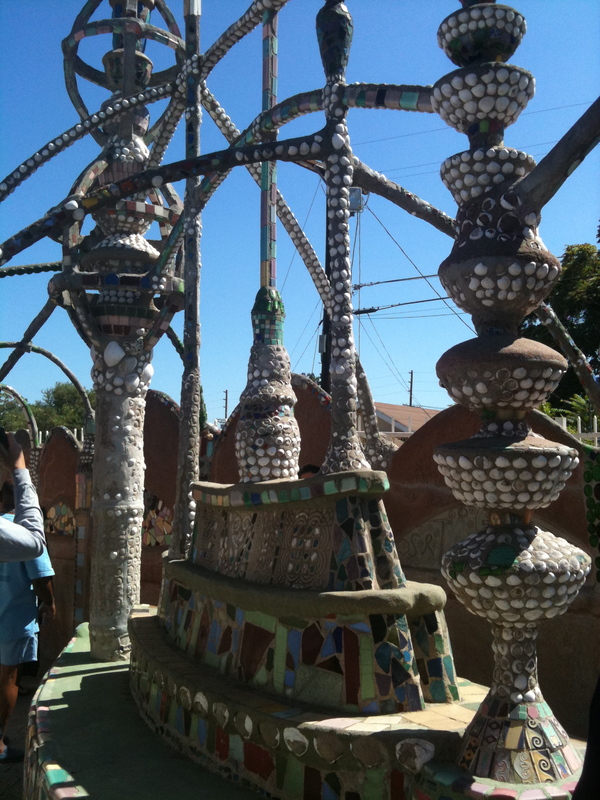 The Watts Towers were designated a National Historic Landmark in 1990. Good call. The Towers have taken some hits from earthquakes over the years, but it’s impressive that, despite being located in such a tough neighborhood, they’ve suffered scant damage from vandals. 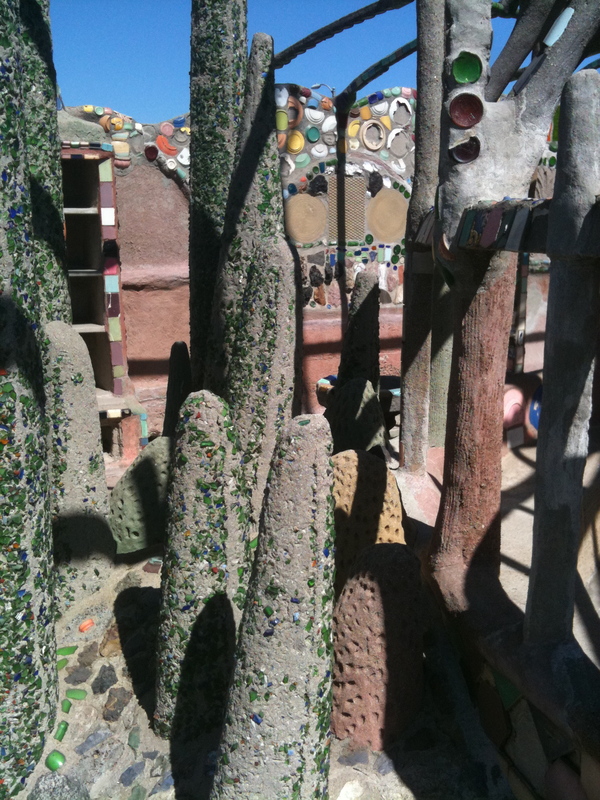 No graffiti mars Simon’s amazing wall – and nobody has dared to tag the Watts Towers. 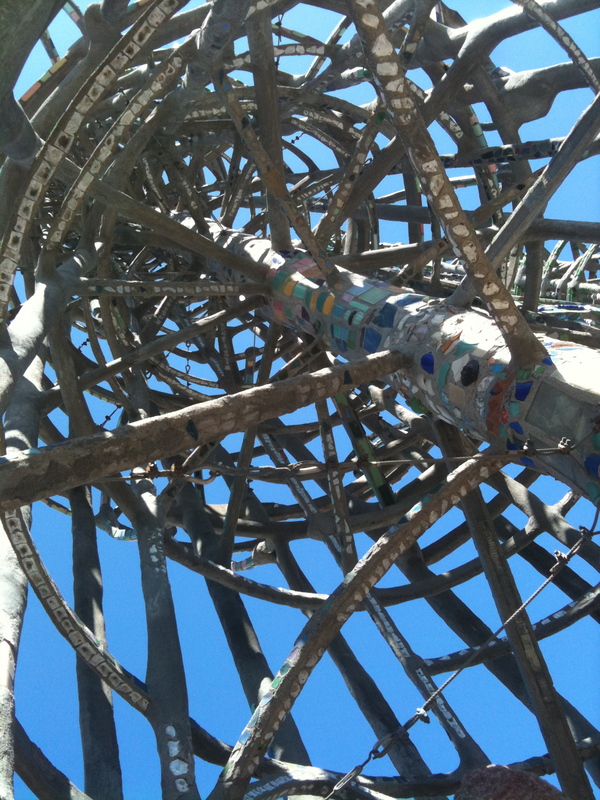 If you live in Los Angeles, go see the Watts Towers as soon as possible. 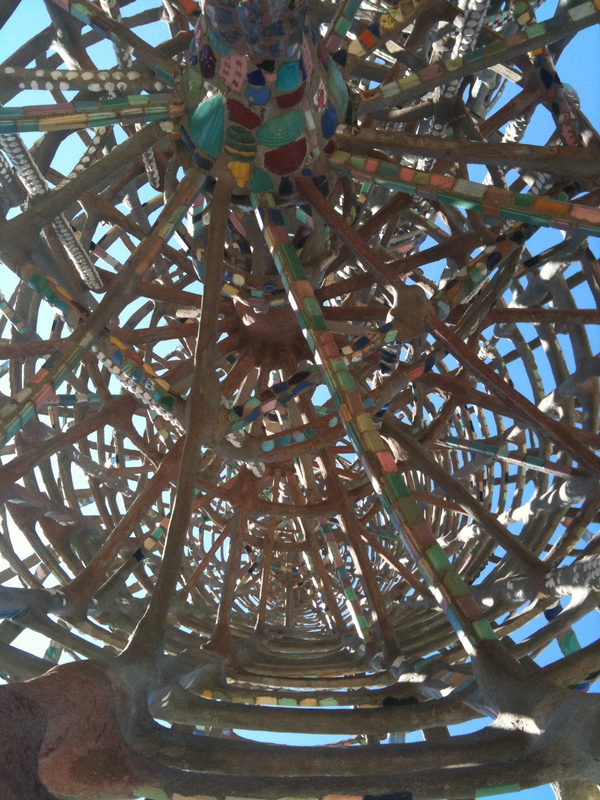 If you visit Los Angeles, make sure you put Simon Rodia’s masterpiece on your agenda. There’s nothing like it in the world. 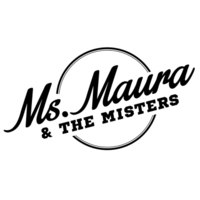 It’s hard to believe it took me 20 years since I moved to L.A. to visit them. 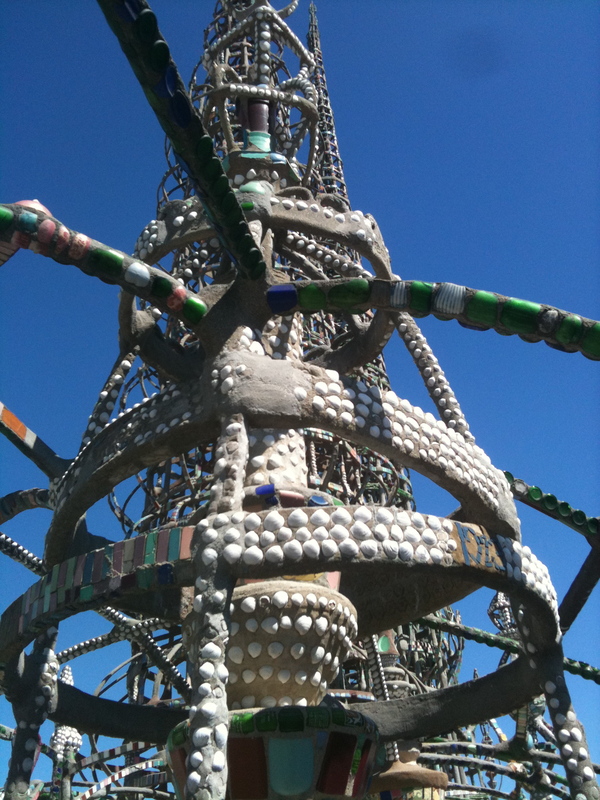 But, now that I’ve seen the wonders that Simon Rodia wrought, I know I’ll be taking people to see the Watts Towers for many years to come.